3. Select CHASEPAY to avail the FREE TICKET. 1. 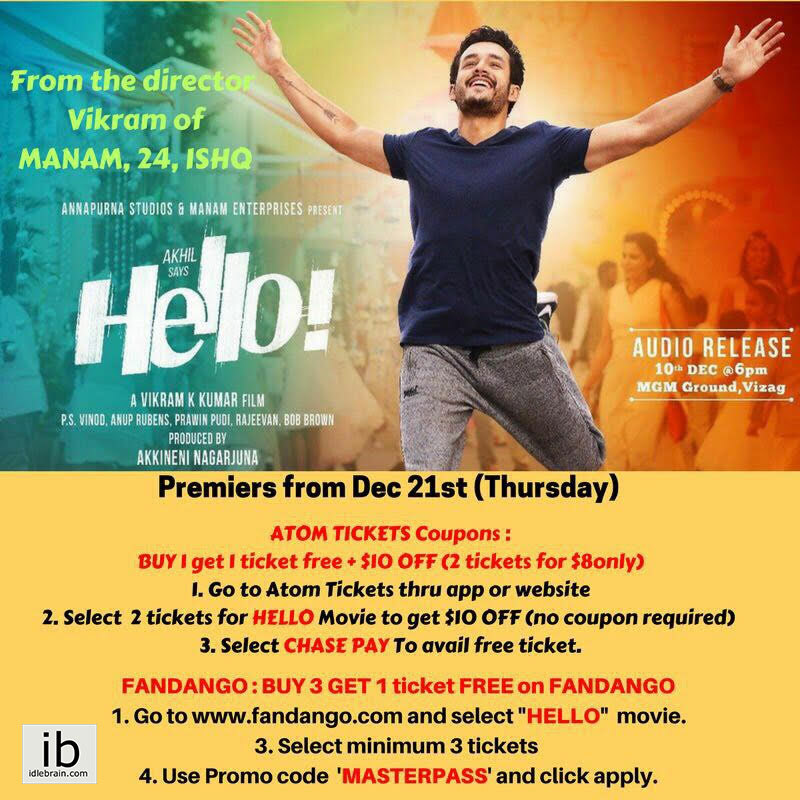 Go to fandango.com and select "HELLO" movie. 4. Use Promo code 'MASTERPASS' and Pay via Masterpass.